Lanza was known to be "rebellious, tough, and ambitious." During most of his film career, he suffered from addictions to overeating and alcohol which had a serious effect on his health and his relationships with directors, producers and, occasionally, other cast members. Hollywood columnist Hedda Hopper writes that "his smile, which was as big as his voice, was matched with the habits of a tiger cub, impossible to housebreak." She adds that he was the "last of the great romantic performers". He made three more films before dying of an apparent pulmonary embolism at the age of 38. At the time of his death in 1959 he was still "the most famous tenor in the world". Author Eleonora Kimmel concludes that Lanza "blazed like a meteor whose light lasts a brief moment in time". Born Alfredo Arnold Cocozza in Philadelphia, Pennsylvania, he was exposed to classical singing at an early age by his Abruzzese-Molisan Italian parents. His mother, Maria Lanza, was from Tocco da Casauria, a town in the province of Pescara in the region of Abruzzo. His father, Antonio Cocozza, was from Filignano, a town in the province of Isernia in the region of Molise. By age 16, his vocal talent had become apparent. Starting out in local operatic productions in Philadelphia for the YMCA Opera Company while still in his teens, he later came to the attention of longtime (1924–49) principal Boston Symphony conductor Serge Koussevitzky. In 1942, Koussevitzky provided young Cocozza with a full student scholarship to the Berkshire Music Center at Tanglewood, Massachusetts. Reportedly, Koussevitzky would later tell him, "Yours is a voice such as is heard once in a hundred years." His performances at Tanglewood won him critical acclaim, with Noel Straus of The New York Times hailing the 21-year-old tenor as having "few equals among tenors of the day in terms of quality, warmth and power". Herbert Graf subsequently wrote in Opera News (October 5, 1942), "A real find of the season was Mario Lanza [...] He would have no difficulty one day being asked to join the Metropolitan Opera." Lanza sang Nicolai's Fenton twice at Tanglewood, in addition to appearing there in a one-off presentation of Act III of Puccini's La bohème with the noted Mexican soprano Irma González, baritone James Pease and mezzo-soprano Laura Castellano. Music critic Jay C. Rosenfeld wrote in The New York Times of August 9, 1942, "Irma González as Mimì and Mario Lanza as Rodolfo were conspicuous by the beauty of their voices and the vividness of their characterizations." In an interview shortly before her own death in 2008, González recalled that Lanza was "very correct, likeable, with a powerful and beautiful voice". At the time of his death, Lanza was preparing to return to the operatic stage. Conductor Peter Herman Adler, with whom Lanza had previously worked both in concert and on the soundtrack of The Great Caruso, visited the tenor in Rome during the summer of 1959 and later recalled that, "[Lanza] was working two hours a day with an operatic coach, and intended to go back to opera, his only true love." Adler promised the tenor "all possible help" in his "planning for his operatic future." 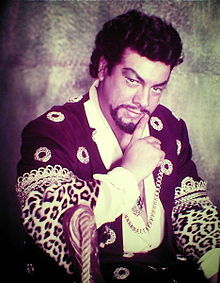 In the October 14, 1959, edition of Variety, it was reported that Lanza had planned to make his return to opera in the role of Canio in Leoncavallo's Pagliacci during the Rome Opera's 1960–61 season. This was subsequently confirmed by Riccardo Vitale, Artistic Director of the Rome Opera. Variety also noted that preparations had been underway at the time of Lanza's death for him to participate in recording a series of complete operas for RCA Italiana. A concert at the Hollywood Bowl in August 1947 had brought Lanza to the attention of Louis B. Mayer, who promptly signed Lanza to a seven-year film contract with Metro-Goldwyn-Mayer. The contract required him to commit to the studio for six months, and at first Lanza believed he would be able to combine his film career with his operatic and concert one. In May 1949, he made his first commercial recordings with RCA Victor. His rendition of the aria "Che gelida manina" (from La bohème) from that session was subsequently awarded the prize of Operatic Recording of the Year by the (United States) National Record Critics Association. Had [Lanza] been already a leading tenor, if not the leading tenor at the Met[ropolitan Opera House], and come to Hollywood in between seasons to make a picture, he would have had [the security of having] the Met as his home," Green remarked. According to Green, Lanza possessed "the voice of the next Caruso. [Lanza] had an unusual, very unusual quality ... a tenor with a baritone color in the middle and lower registers, and a great feeling for the making of music. A great musicality. I found it fascinating, musically, to work with [him]. Tenor Richard Tucker (left) speaking with Lanza in 1958 at Tucker's Covent Garden debut. In 1952, Lanza was dismissed by MGM after he had recorded the songs for The Student Prince. The reason most frequently cited in the tabloid press at the time was that his recurring weight problem had made it impossible for him to fit into the costumes of the Prince. However, as his biographers Cesari and Mannering have established, Lanza was not overweight at the beginning of the production, and it was, in fact, a disagreement with director Curtis Bernhardt over Lanza's singing of one of the songs in the film that led to Lanza walking off the set. MGM refused to replace Bernhardt, and the film was subsequently made with English actor Edmund Purdom, who was dubbed to Lanza's recorded voice. I had heard all sorts of stories about Mario [Lanza]. That his voice was too small for the stage, that he couldn't learn a score, that he couldn't sustain a full opera; in fact, that he couldn't even sing a full aria, that his recordings were made by splicing together various portions of an aria. None of it is true! He had the most beautiful lirico spinto voice. It was a gorgeous, beautiful, powerful voice. I should know because I sang with so many tenors. He had everything that one needs. The voice, the temperament, perfect diction. ... Vocally he was very secure. All he needed was coaching. Everything was so easy for him. He was fantastic! In 1991 son Marc Lanza died of a heart attack. He was 37, a year younger than Mario was when he died. In 1998, daughter Colleen Lanza was run down and killed by a car as she crossed a street. She spent two weeks in the hospital in a coma from which she never recovered consciousness. Son Damon Anthony Lanza passed away in hospital on August 16, 2008 in California at the age of 55. Apparently he had severe diabetes and heart related problems. Lanza was referred to by some sources as the "new Caruso" after his "instant success" in Hollywood films, while MGM hoped he would become the movie studio's "singing Clark Gable" for his good looks and powerful voice. 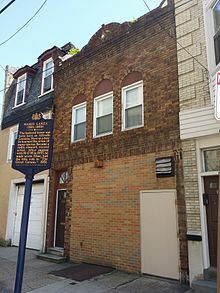 Lanza was born at 636 Christian Street in South Philadelphia. The building was demolished on June 29, 2018; a Pennsylvania Historical and Museum Commission marker marks the site. ^ Vogel, Michelle. Children of Hollywood, McFarland (2005), p. 65. 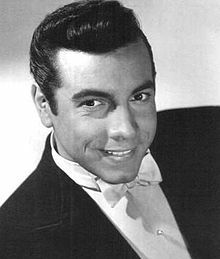 ^ Mario Lanza profile, imdb.com; accessed March 30, 2015. ^ a b Fischer, Lucy; Landy, Marcia. Stars: The Film Reader, Routledge (2004) p. 216. ^ a b Hopper, Hedda. The Whole Truth and Nothing But, Pyramid Books (1963), chapter 18. ^ a b c Mannering, Derek. Mario Lanza: Singing to the Gods, Univ. Press of Mississippi (2005) pp. xv–xvii. ^ Kimmel, Eleonora. Altered and Unfinished Lives, A.F.A. (2006) p. 191. ^ Briggs, John. Leonard Bernstein: The Man, His Work, and His World, World Pub. (1961), p. 55. ^ Cesari, Armando. Mario Lanza: An American Tragedy, Baskerville (2nd. ed, 2008), p. 21. ^ Zermeño, Erick B. Interview with Irma González. Pro Ópera (April 2008), pp. 32–35. ^ Mannering, Derek. Mario Lanza: Singing to the Gods, University Press of Mississippi (2005), pp. 33–34. ^ Cesari, Armando. Mario Lanza: An American Tragedy, Baskerville (2004), p. 60. ^ Cesari, Armando. Mario Lanza: An American Tragedy, Baskerville (2004), p. 78. ^ Mannering, Derek. Mario Lanza: Singing to the Gods, UP of Mississippi (2005), p. 201. ^ a b Cesari, Armando. Mario Lanza: An American Tragedy, Baskerville (2004), p. 275. ^ Cesari, Armando. Mario Lanza: An American Tragedy, Baskerville (2004), p. 277. ^ Mannering, Derek. Mario Lanza: Singing to the Gods, University Press of Mississippi (2005), p. 61. ^ Cesari, Armando. Mario Lanza: An American Tragedy, Baskerville (2004), p. 132. ^ Stern, Michael. An American in Rome, B. Geis Associates/Random House (1964), p. 287. ^ Cesari, Armando. Mario Lanza: An American Tragedy, Baskerville (2nd. ed., 2008), p. 168. ^ Cesari, Armando. Mario Lanza: An American Tragedy, Baskerville (2nd ed., 2008), p. 167. ^ Cesari, Armando. Mario Lanza: An American Tragedy, Baskerville (2004), pp. 201–02. ^ "Mario Lanza in Scotland". Opera Scotland. Retrieved April 14, 2012. ^ Cesari, Armando. Mario Lanza: an American Tragedy, Baskerville (2nd. ed. 2008), pp. 251–55. ^ Mannering, Derek. Mario Lanza: Singing to the Gods, University Press of Mississippi (2005), p. 175. ^ Cesari, Armando. Mario Lanza: an American Tragedy, Baskerville (2nd. ed. 2008), p. 280. ^ Cesari, Armando and Philip A. Mackowiak, M.D. Mario Lanza: A Fatal Zest for Living, The Pharos (Winter 2010), pp. 4–10. ^ Cesari, Armando. Mario Lanza: An American Tragedy (2004) Passage link, books.google.co.uk; accessed March 30, 2015. ^ Hopkins, Jerry. Elvis: The Final Years, Mass Market (1986), p. 79. ^ Cesari, Armando. Mario Lanza: An American Tragedy, Baskerville Publishers (2004) p. 4. ^ Plácido Domingo Interview with CBS[permanent dead link], January 2009; accessed March 30, 2015. ^ Profile, wqxr.org; accessed March 30, 2015. ^ McCants, Clyde T. American Opera Singers and Their Recordings, McFarland (2004), p. 132. ^ "Richard Vetere Collection". Stony Brook University Special Collections & University Archives. Archived from the original on September 4, 2012. Retrieved March 30, 2015. ^ Palm Springs Walk of Stars website Archived October 13, 2012, at the Wayback Machine; accessed March 30, 2015. Studwell, William E. "Mario Lanza". In The Italian American Experience: An Encyclopedia, ed. Salvatore J. LaGumina (New York: Garland, 2000) 332–33. Lanza, Damon & Dolfi, Bob. Be My Love: A Celebration of Mario Lanza. Chicago, IL, 1999. ISBN 1-56625-129-X. Mannering, Derek. Mario Lanza; A Biography. London: Hale 1991. Strait, Raymond & Robinson, Terry. Lanza: His Tragic Life. Englewood Cliffs, NJ: Prentice-Hall, 1980. Bernard, Matt. Mario Lanza. New York: Macfadded-Bartel, 1971. Callinicos, Constantine. The Mario Lanza Story. New York, NY, 1960. Library of Congress Catalog Card Number 60-12480. Bessette, Roland L. Mario Lanza: Tenor In Exile. Portland, OR. ISBN 1-57467-044-1. Mario Lanza, Tenor – Essays, videos, rare recordings, discography and forum. MarioLanza.net Hosted by Jeff Rense.